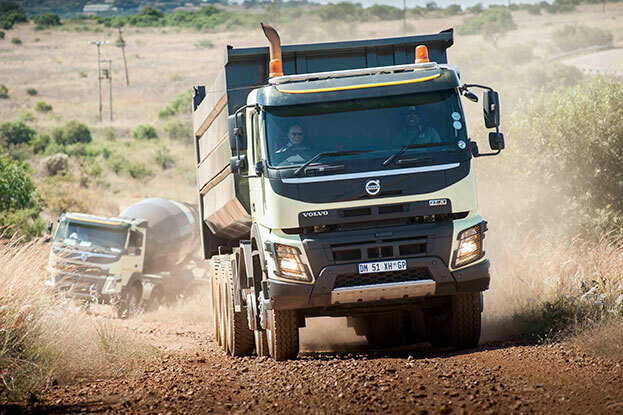 Volvo Trucks has incorporated a number of features in its heavy duty truck range geared to take on the demanding terrain and extreme operating conditions of the African continent. One of these is a new rear air suspension for the Volvo FMX with a driven front axle (4x4, 6x6, 8x6 and 10x6). This solution gives the truck high ground clearance, excellent traction and outstanding driving comfort – especially when unladen. Volvo Trucks South Africa recently showcased its range of extra heavy vehicles at Gerotek to demonstrate innovations and features that are geared to take on the demanding terrain and extreme operating conditions of the African continent. According to Gush, Volvo Trucks is committed to being an innovative leader, particularly when it comes to driving safety and developing new ways to improve the productivity and efficiency of fleet owners’ operations. 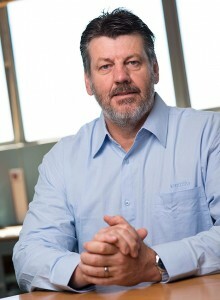 “It is not just about the ruggedness of our trucks and our innovations. Volvo Trucks is at the forefront in providing solutions that give fleet owners enhanced efficiency and productivity – in the most severe conditions and most demanding assignments,” says Gush. In March 2016, Volvo Trucks introduced a new member to the I-Shift family: I-Shift with crawler gears. The new gears, which are added to the vehicle’s automated transmission, provide specialised start capability for trucks carrying heavy loads in demanding situations. This new version of I-Shift makes it possible to add up to two new crawler gears resulting, among other things, in the ability to start-off from standstill and transport a gross combination weight (GCW) of up to 325 tonnes. In 2015, the company also added the new Tandem Axle Lift function on its FH16, FH, FM and FMX ranges which makes it possible to disengage and raise the second driven axle. As not every FH is operated as a long-haul truck on perfect roads, Volvo Trucks has also launched an optional Heavy Duty Bumper for this derivative. In fact, it is just like the one on the Volvo FMX – robust and designed to take a beating and protect the headlights and the truck itself when the going gets tough. In addition, Volvo Trucks is now offering rear air suspension for the Volvo FMX with a driven front axle. (4×4, 6×6, 8×6 and 10×6). This solution gives the truck high ground clearance, excellent traction and outstanding driving comfort – especially when unladen. Air suspension naturally offers many benefits, including a smoother ride, regardless of the road conditions while saving the truck, the cargo and most importantly, the driver from additional wear. “Distributing the load on five axles reduces the risk of overloading the axles. This solution eliminates the need for an external bodybuilder and costly retrofitting. All in all, it gives fleet owners quicker delivery, direct from Volvo and all the benefits of a full Volvo warranty and aftermarket support,” says Gush. Severe conditions imply situations or applications that involve off-road or rough-road driving, requiring an engaged front drive axle. In this case, customers require manoeuvrability in tight areas and maximum traction so the trucks don’t get stuck. This could also mean the transportation of heavy loads that require special permission to travel on public roads. What is needed here is dependability, startability, maximising hill gradients and loading capacity. To address fleet owners’ requirements in this segment, Volvo Trucks has introduced Automatic Traction Control as standard on the Volvo FMX with all-wheel drive or a driven front axle. The front-wheel drive (4×4, 6×6, 8×6 and 10×6) is automatically activated when needed, providing all the necessary traction. This innovation is already at work in Volvo Construction Equipment and has proven to be a reliable, highly-effective solution to tackle even the toughest of worksites. 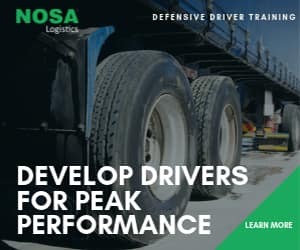 This new technology is set to give operators reduced fuel consumption, better manoeuvrability and uncompromised traction, as well as ultimately reducing powertrain wear and damage as Automatic Traction Control is engaged only when it is required. Volvo Trucks Dynamic Steering was first introduced back in 2013 but is now available for the dual front axles on the 8×2, 8×4 and 10×4 derivatives. This feature is set to drastically reduce the strain on the driver, contributing not only to improved driving comfort but also to increased safety and productivity. “The poorer the roads, the higher the loads, the lower the speed – the greater the benefits with Volvo Dynamic Steering for dual front axles,” says Gush. “Technically, what we’ve done is to reinforce the gearbox and adjust the software so that it is better equipped to handle the frequent gear changes that are common in these environments,” says Gush. Knowing the value placed on high load capacity in the construction industry, the company has now increased the maximum front axle loads for leaf-suspended trucks with double front axles from 18 to 20 tonnes. For customers in heavy haulage, it’s an opportunity to take on heavier assignments, as well as to take on lighter ones without requiring a costly special permit. Volvo Trucks believes that these new specifications added to their already-proven range, combined with the brand’s increasing footprint in the region, will give their African fleet owners the edge in these very competitive and demanding local industry segments. “Innovation is a buzzword. However, for us it’s the result of our continuous, relentless and uncompromising effort to always find the best solution for our customers,” says Gush. 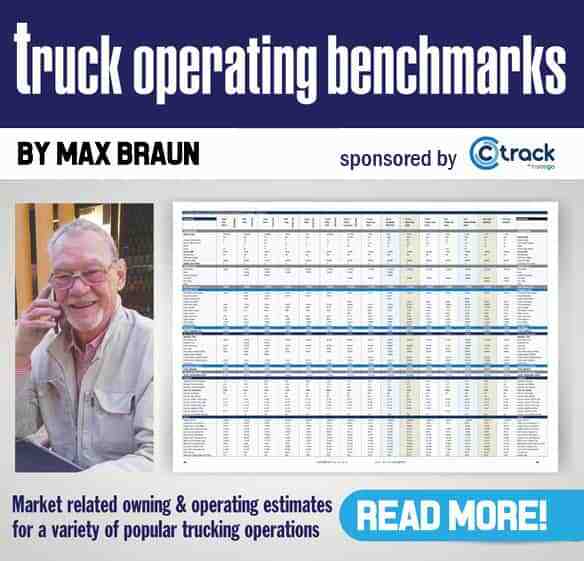 Speccing the right truck for the job has always been a must for success in trucking operations. In this regard, Volvo Trucks has taken the bull by the horns and added innovative features that enhance the ability of the truck to do the specific job to maximum efficiency. This has to be lauded. To demonstrate the new I-Shift with crawler gears, Volvo Trucks decided to go the full hog and produce a video titled “Volvo Trucks vs 750 Tonnes” where a Volvo FH16 featuring I-Shift transmission with crawler gears faces an extreme heavy haulage challenge. With the world’s strongest man, Magnus Samuelsson, and trucking journalist Brian Weatherley in the driver’s cab, a Volvo FH16 pulls 750 tonnes. The new gears, which are added to the vehicle’s automated transmission, provide specialised start capability for trucks carrying heavy loads in demanding conditions. Check out the video above.